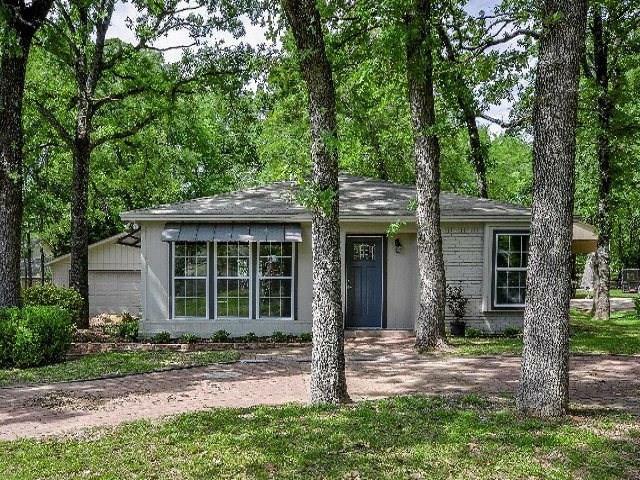 All Enchanted Oaks homes currently listed for sale in Enchanted Oaks as of 04/18/2019 are shown below. You can change the search criteria at any time by pressing the 'Change Search' button below. If you have any questions or you would like more information about any Enchanted Oaks homes for sale or other Enchanted Oaks real estate, please contact us and one of our knowledgeable Enchanted Oaks REALTORS® would be pleased to assist you. "GB-6670. YOU WILL QUICKLY APPRECIATE THIS ONE-OF-A-KIND HEAVILY WOODED PENINSULA BOASTING APPROX. 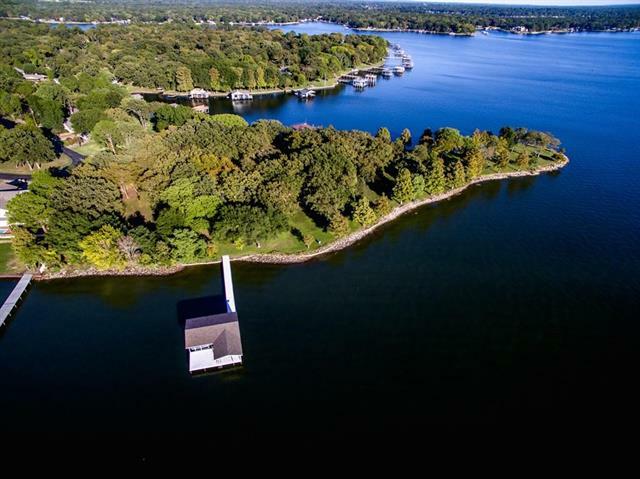 1300 FT. OF NAVIGABLE SHORELINE LOCATED IN ENCHANTED OAKS CITY SUBDIVISION OFFERING EXCELLENT ROADS, 2 BOAT LAUNCH AREAS, POOL & SECURITY. THIS PROPERTY FACES SOUTH FOR COOL SUMMER BREEZES, YET YOU STILL HAVE BEAUTIFUL MOONRISE & SUNSETS FROM DIFFERENT VANTAGE POINTS OF THIS UNIQUE PROPERTY. EXISTING HOME COULD BE REMODELED OR ADDED ON TO IF MORE SPACE IS NEEDED. DOUBLE BOATHOUSE IS LOCATED IN DEEP "
"Beautiful Custom Built Home with Lake View! Engineered foundation, energy efficient foam insulation walls roof attic and garage, knotty alder custom made cabinets with round corners and raised panels, 10ft ceiling in the kitchen, marble back splash, Versailles pattern Travertine kitchen floor, 17ft vaulted ceiling with rustic beam and English oak floor in the living room, vaulted ceiling with beam in master bedroom, granite tops, fireplace - gas and wood, custom mild 5.5 inch knotty alder baseb"
"Located on two large wooden lots in exclusive Enchanted Oaks, know for Fourth of July parades, this setting is perfect for swimming and fishing off your deck! Love the sandy bottom on your toes! Relax on the spectacular screened porch! Enchanted Oaks is very special having it s own police & fire dept, 2 boat launches, community pool, soccer field, private trash bins, monitored access and SO MUCH MORE! Come enjoy this wonderful house and this wonderful neighborhood!" "MLS #86090 GB-7917. WONDERFUL LOCATION - EXCELLENT DRIVE-UP APPEAL - PAINTED BRICK EXTERIOR, CIRCLE DRIVE, COVERED PARKING - DISTRESSED WOOD PLANK FLOORING - OPEN LIVING-DINING WITH GLASS DOORS TO BALCONY OVERLOOKING LAKE - STAINLESS KITCHEN APPLIANCES, LARGE EATING-SERVING BAR - STAINED CONCRETE ON LOWER LEVEL - 2 BEDROOMS HAVE PATIO ACCESS - BEAUTIFUL SETTING, MATURE TREES, NICE SOUTHERN BREEZE." "Spacious inside and out! 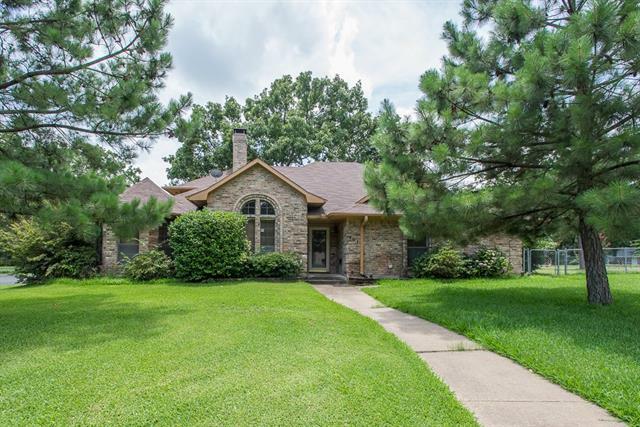 Sitting on 4 lots this home includes 10 ft. ceilings, formal dining, fireplace, skylights, kitchen nook, wet bar, extra large main bath with garden tub & walk in shower, double walk in closets, enclosed patio, 3 bedrooms down stairs, upstairs above garage is a huge 4th bedroom and half bath. This would also make a great bunk or media room. Outside you will find a covered back porch, gazebo, large storage-workshop w-elec, pull through RV parking w- 50 amp hook up and irri"
"Wonderful 4 bedroom, 2 bathroom, 2 car garage brick home on 3 large lots with 2803 sq. ft.. 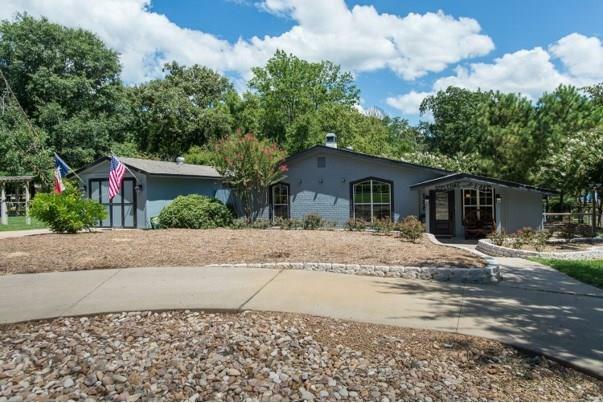 The interior features an update kitchen with granite countertops, wood burning fireplace in living room, large dining room with vaulted ceilings, updated bathrooms, 4th bedroom could be used as a den or second living area, & lots of windows. 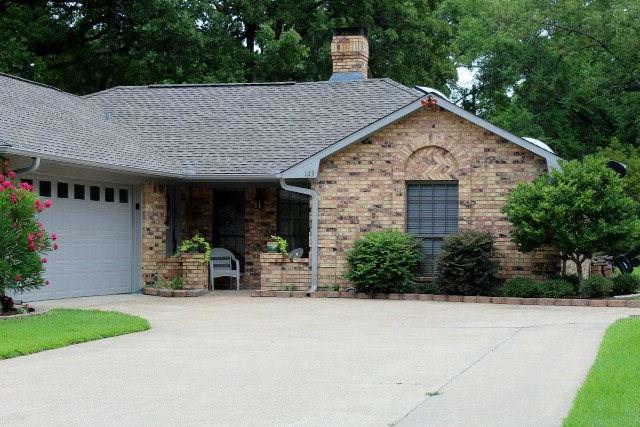 The exterior features a large back patio, fenced rear yard, & sprinkler system. This is a must see home! Owner may finance." 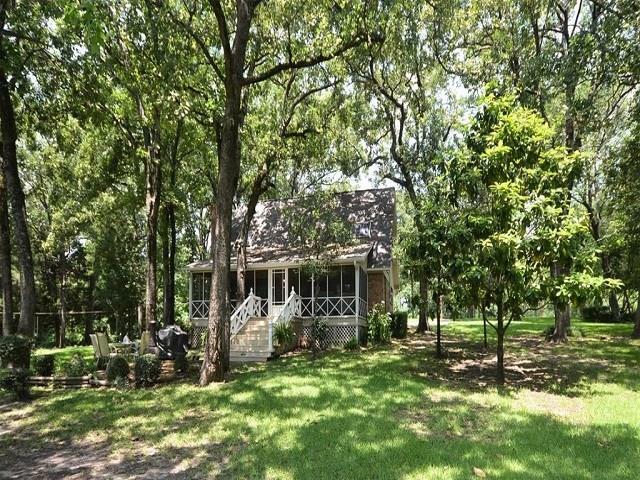 "Highly sought after Enchanted Oaks property in Eustace ISD! Property has 3 lots at the end of a channel. This 3 bed 1 bath with optional 4th bedroom is steps away from the private boat launch. This immaculate house has updated throughout and has a Great Lake feel. Large back porch that would be great for grilling and entertaining. 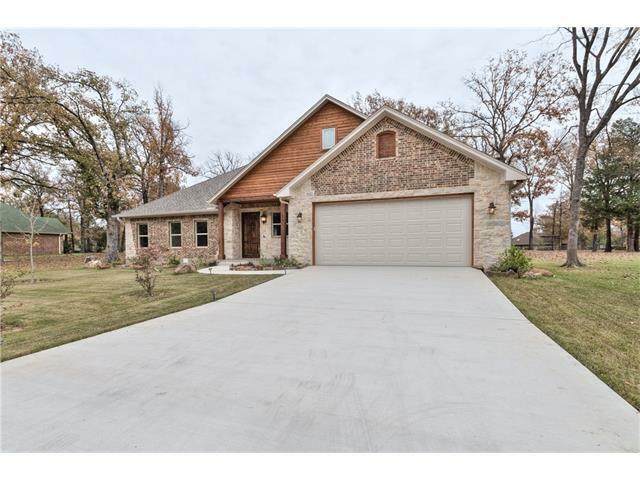 Make this your forever home or your lake house retreat! Enchanted Oaks has a community pool, baseball and soccer field." 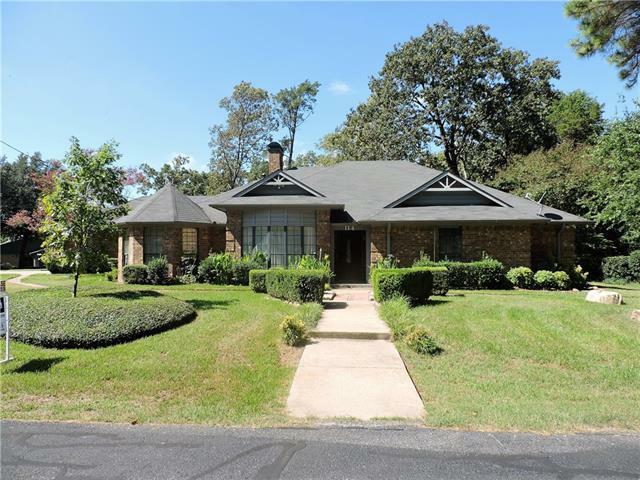 "Recently remodeled home in highly desired Enchanted Oaks subdivision. This is a rare opportunity to get into this upscale waterfront community for such a low price point. 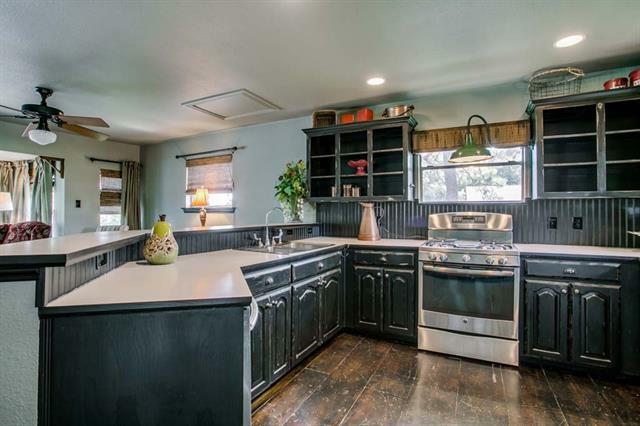 Recent updates include, 30 year roof shingles, flooring, cabinet fronts, granite, kitchen sink, lighting, paint, flooring throughout home, updated bathrooms and much more. Spacious living area with lots of windows and raised ceilings. Master bedroom with Texas sized closet. Large screened in porch allows one to sit outside "
"Completely remodeled including updated plumbing, electric, new HVAC and ductwork, windows and roof. Kitchen features new porcelain tile countertops, cabinets, ceramic tile floor, new SS dishwasher and range. Large dining area. Three bedrooms plus office or hobby room with new carpet. Nice waterview and within walking distance of community boat ramp. Detached oversize garage with room for workshop. Sprinkler system hooked to well for no cost watering!"